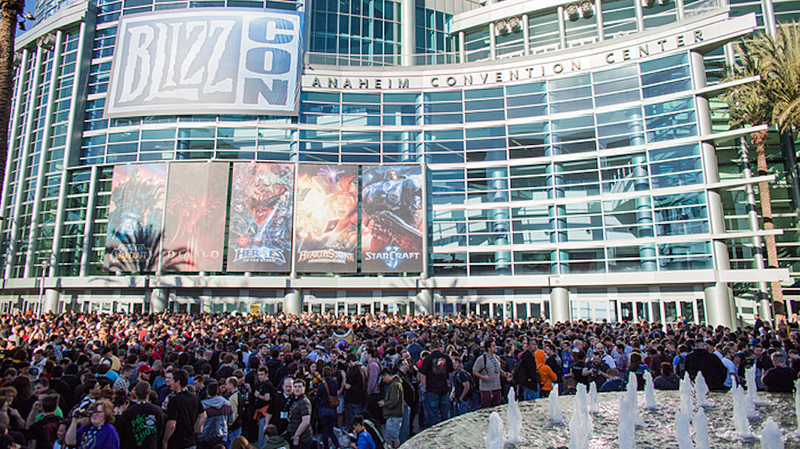 I'm getting ready to head to blizzcon, with a brief stop in San Francisco to visit friends on the way. This blog will therefor be fairly unattended until after the con. 4pm - 6pm Early Dinner/Late lunch? Beers Beers Beers? 6pm Maybe watch part of the closing Ceremony? 6pm - ?? Hilton bar? Somewhere else? One thing I love about Blizzcon is that it's a party for nerds; however, I realize that that can mean a lot of us are fairly socially awkward, or at least shy. If you're nervous about coming to any of the parties, that maybe you won't know anyone or have anyone to talk to, send me a message using the contact form (in the right column on this site), and I'll be happy to introduce you to every hunter I know. Even things like waiting in line to get into the parties, or going to the panels or tournaments during the day can be a lot more fun if you have someone to talk to. At the very least, we can be socially awkward together! I was talking with one of my raid leaders the other day, and we were looking over logs comparing some of our lower DPSing raid members, and we realized we weren't looking at the same numbers. So he linked what he was looking at, which happened to be the damage done chart across several Mannoroth wipes from warcraft logs with &cutoff=3 (if you don't know what that is, it's not important). I started to type something like "oh, I didn't realize 3 deaths was when you were calling wipes". Before I even finished typing it, he followed up with "3 is a rough statistic, but a decent cutoff point for wipes". I was fairly astonished that he had read my mind, to which he replied "always question the metrics :-P". As we approach the legion beta, I've been thinking a lot about how I want to present the data I collect, and how I use it to come to conclusions about huntering. 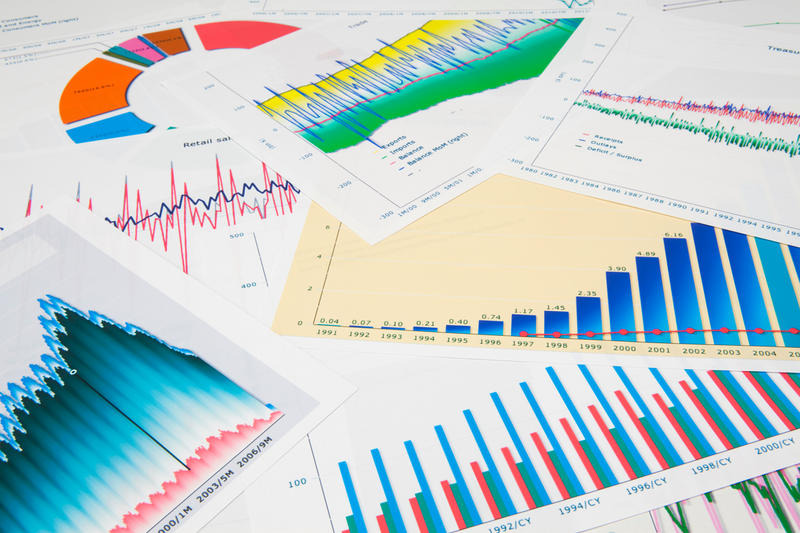 I think there's been a bit of a shift in the WoW theorycrafting community lately, and a lot of it has revolved around questioning metrics we previously valued. So I thought it might be fun to go over a few of those and see if I can find any other places where our metrics have fallen short. A while back, over in the hunter IRC (#beastcleaves), I witnessed a fairly interesting argument over whether to take Iron Hawk or Exhilaration when raiding. What made the argument interesting, from my point of view at least, was that they weren't really arguing over which talent was better (even if that's what they thought they were arguing about), they were actually arguing over what metric was best to determine the best talent. On the Iron Hawk side of the argument, the metric used was total damage negated over the course of the fight. It's easy in your log to look up how much damage you took, which tells you how much you would have taken with out Iron Hawk, and compare that number to how much you could heal with Exhil (30% of your HP every 2 minutes). With this metric, in almost every case, Iron Hawk is the clear winner. The Exhilaration side of the argument, however, was saying total damage negated isn't a useful metric, but instead we should be interested in which talent is the most likely to prevent a death. Iron Hawk will only prevent a death in the fairly rare case that the damage of a single ability (or multiple abilities in quick succession) does 1-9% more damage than you have HP. If it does more damage than that, you'll die anyway. If it does less damage than that, you'll live through it anyway. Exhilaration, on the other hand, often prevents death to many mechanics, as you can cast it on-demand, when you have less HP than an damage that's about to go out. For example, if you need to soak a Gaze on Mannoroth, or a Edict of condemnation on on Tyrant Vel, but your HP is too low, you now have an option that could (perhaps) prevent a wipe. An amazing addition to Warcraft Logs recently was the addition of weighted DPS. I've talked about this on the podcast, but I don't think I've mentioned it on here. What it does is adds extra value to damage down to priority targets, and reduces the value of damaging trash mobs that will die quickly and easily anyway. The point is, it rewards you for focusing on what you should be focusing on, and it punishes you (to some extent) for just spamming AoE. The reason I bring this up is it's a new metric for viewing the importance of specs that don't necessarily perform as well with the traditional metric of plain DPS. MM hunters, for instance, aren't do not appear in the top ten parses for any current boss aside from Archimonde. Any of you out there playing MM, you may be frustrated that you just can't out-dps the mages or warlocks on your team (assuming they're close to the same skill level as you). However, you still see all of the top guilds in the world with at least 2 or 3 MM hunters on their roster. This is because we MM hunters have the ability to do damage that really matters. Burning down priority targets is our specialty. So even if our total damage done or DPS is lower than many other classes, the damage we do helps kill bosses, it's never just padding. And this is what the Weighted DPS option is there for: to give a metric that shows meaningful damage instead of treating all damage as equally useful. If you were reading this blog during the WoD beta, you will be familiar with some of the metrics I like to use when assigning priority to our abilities; those being Damage per Cast-time, Damage per Focus, and the somewhat messy Damage per Cast-time per Focus, or "damage per cast-time per focus per cast-time" (it may seem quite silly, but sometimes it helps me to think in those terms). None of these metrics tell the whole story on their own. If you simply look at Damage per Cast-time (DPCT), you'll miss the value of abilities that might not do as much damage, but are incredibly cheap (in focus cost) that make great filler while waiting for CDs of more valuable shots, such as the problem with barrage on Single Target fights, it might do the most damage per second, but it costs so much focus it will costs you Aimed Shots (or potentially Chim Shots), making it actually less valuable than . If you only look at Damage per Focus (DPF) you'll likely over-value highly efficient abilities that actually cause you to miss out on damage, such as the common mistake of valuing Aimed Shot with Thrill of the Hunt procs over Chim Shot. My project, then, is to apply this shift in thinking I described above (weighted DPS and the how level 45 talents are compared) to theoretical hunter math. What I mean is instead of only focusing on metrics that determine the greatest potential DPS, include some that measure, for example, on demand burst potential, or perhaps reliability (I'm sure everyone has had a few miserable openers where Thrill of the Hunt never proc'ed). I'm not totally sure how involved some of these metrics would have to be, but I am looking forward to diving into the beta, and seeing what I can come up with. I haven't had much of any excuse to talk about any numbers lately, so I thought I'd take a moment to go over something that a friend of mine recently mentioned not being able to find on the internets: pet scaling. Apparently there are a couple of incredibly out-dated articles on wowpedia and wowwiki, which are still being cited in several places, so I thought it would be worth going over how pet stats are actually working right now (I realize this may become outdated itself fairly soon, or at least as soon once the legion pre-patch comes out; hopefully I'll remember to update it). Pets inherit 100% of their hunter's crit chance, plus 10% crit chance when spec'ed into Ferocity, from the passive ability Spiked Collar. That is to say, if your hunter has 43% crit chance, your pet's abilities should, on average, crit 53% of the time. It's probably worth noting that this only applies to crit chance, not crit damage. For MM hunters (who happen to not be using Lone Wolf), the increased Crit Damage from your mastery will not be inherited by your pet. For BM hunters, there's a hidden value in crit, from the ability which was formerly called Go for the Throat (now it's lumped in with Invigoration), where if your hunter's Auto Shot crits, your pet will gain 15 focus. This is made more valuable because of the ability Wild Hunt (which is not in your spellbook anymore, but is now a hidden ability called "basic attack focus modifier"; I'll continue to use the old name for it). Wild Hunt causes your pet's Claw, Smack or Bite ability to do double the damage and cost double the focus when your pet is over 50 focus. This will of course happen more often with higher crit ratings. This mechanic is not significant enough to 'cause any changes in our stat priorities, that is to say, the vast majority of the value of crit is still coming from abilities critting, not from proc'ing more wild hunts; however, it's still worth being aware of. Pets inherit 100% of their hunter's haste. In addition, again from the Spiked Collar ability when spec'ed Ferocity, hunter pets gain 10% Attack Speed. The primary effect that haste has on pets is increasing the rate of their auto-attacks. Haste also increases the focus regen rate of pets at a rate of 0.00055555 focus per second per point of haste (with a base regen of 5 focus per second). That is to say, at 10% haste your pet will regen focus at a rate of 5.5 focus per second, or at 20% haste 6 focus per second, etc. Though it is a very small effect, for the sake of thoroughness, because haste also increases the hunter's Auto Shot speed, it will give BM hunters more chances to proc the Go for the Throat part of Invigoration, giving your pet, again, more chances to use Wild Hunt. This has a very, very small effect on your DPS, and shouldn't really be taken into consideration when deciding what stats to use, it's just worth knowing about because it exists. Pets inherit 100% of their hunter's chance to proc multistrikes. If a hunter has x% multistrike, each of the pet's abilities will have two x% chances to multistrike for 30% damage. There are no special mechanics for pets and multistrikes. As this is a new stat which essentially does the exact same thing as crit (at least from a mathematical standpoint) I don't expect to see Multistrike exist as a stat once Warlords of Draenor is over. Pets inherit 100% of their hunter's versatility. That is to say, if a hunter has 10% Versatility, pet's will do 10% increased damage, and take 5% reduced damage. There are no special mechanics for pets and Versatility. I've heard people claim that their pets did not receive the damage reduction portion of versatility. I've tried many different ways, and in all the tests I've made the pets inherited both the damage done increase and the damage taken decrease. That doesn't mean it isn't a bug that's only happening in particular places, but I have not seen any evidence of Versatility not being inherited correctly by pets. Pets inherit 60% of their hunter's AP. Pet Weapon Damage is normalized at 2 seconds, with AP adding to WD at a rate of 1 WD per 3.5 AP. To determine pet Weapon Damage (which is used in basic attacks like claw, smack or bite, as well as pet auto-attacks), you can use "2*AP/3.5". Pets also receive a couple of damage modifiers from talents or abilities. Spiked Color increases the damage of basic attacks by 10% and Combat Experience increases all of your pet's abilities' damage by 50%. Pets inherit 170% of their hunter's armor. In the character pane in game, if you hover over your hunter's Armor rating (under defense) it will say that it increases your pet's armor by 70% of the armor rating shown; however, if you switch to the pet tab, it will show it more simply, as 170% of whatever your hunter's armor rating is. Armor works the same way for pets as it does for hunters, reducing physical damage taken using the formula x/(x+3609.9) (where x equals your armor rating) to get a percent damage reduction. For example, if your hunter has 1765 armor, then your pet will have 3000 armor, giving it 45.39% physical damage reduction. So if an attack were incoming that would have done 10,000 damage, it will instead do 6878 damage; that is, 10,000/(1+.4539). 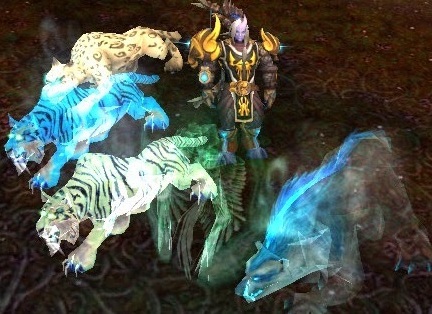 Pets inherit 70% of their hunter's Stamina when spec'ed into Ferocity or Cunning (without the BM talent adaptation). From said stamina, they gain Health at the same rate as hunters, 60 health per Stamina. So if, for example, a hunter has 7000 Stamina, the hunter will have 420,000 health, while their pet will have 294,000 health. Pets spec'ed into Tenacity, or BM pets using the Adaptation talent will have the passive ability Great Stamina, which will give the pet 60% more health. For more information on how hunters are affected by various stats, or how our abilities work mathematically, check out the Stat Conversions and Abilities page. Bellular Gaming had a fun video a while back with some of their ideas for the new class halls coming in Legion. I really liked a few of the ideas, so I thought I'd maybe go into some hunter specifics of what could make the Hunter Class Hall amazing. For this first entry, I want to talk about the potential for a class specific training. 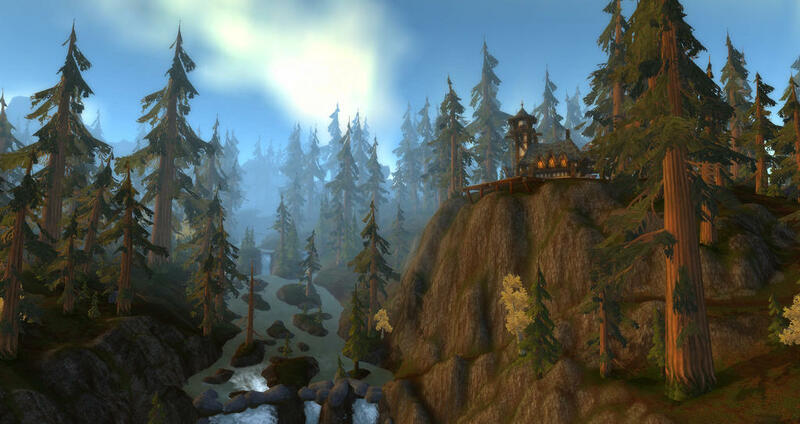 The introduction of The Proving Grounds in Mists of Pandaland was a brilliant move. It provided a lot of content for what appeared to be fairly little work, and it provided the beginnings of a metric for PvE players to use. The biggest complaints about the proving grounds, as far as I ever heard, were that they weren't really a good fit for all classes/specs, with some having a laughably easy time finishing gold, and others taking a bit more effort and planning. The Class hall gives Blizzard a great excuse to move forward with the proving grounds, with class or even spec specific training. We saw a taste of this in patch 6.2 with the introduction of Fel Rangari Anaara and the Fel Wolf taming challenge. I've seen several people on various forums trying to stroke their epeens, claiming Fel Ranagari Anaara was too easy or even a joke. Well those folks are full of it; I really think she was the perfect hunter training. Regardless, what made her so great wasn't the difficulty level anyway. And that was really the brilliance of the fight: it wasn't hard at all if you did everything correctly; if you started making mistakes, it was nearly impossible. Through that need to make the hunter do each mechanic correctly, she would force you to make a shift from thinking to reacting. I imagine that just about any hunter who's paid any attention at all while leveling will know, basically, what all of their abilities do. Distracting Shot makes the target attack me, Master's Call breaks me out of roots, etc... But knowing what they do without adequate practice using them doesn't really prepare you if ever the occasion comes up. Fel Rangari Anaara was just punishing enough that you couldn't really spend time thinking about what was happening, and then try to remember an ability that would counter it. You needed to react: my pet is trapped, master's call; she's casting invisibility, flare; crap, she's wrecking my pet, tranq shot. You know what the hardest part about raiding for me is? Paying attention. If you can't tell from how I write on this blog, then ask my guildmates sometime: my mind wanders. A lot. To the strangest of places. Fel Rangari Anaara was a great training tool for paying attention, too. Forcing you to keep your targets nameplate at least in the back of your mind, so you'd know when she had that buff, or was casting the full heal that needed to be interrupted, or about to vanish (ok, vanishing wasn't really deadly, but it was at least annoying if you didn't get off your flare in time and then had to just wait for her to attack you from stealth). So, I imagine a hunter specific training / proving grounds would look a lot like Fel Rangari Anaara. She'll be even better in a proving grounds type setting as you can't enlist help, and because it'll scale your gear down, keeping away the possibility of over-gearing her. But there are a couple of other things that could be added as well. Tank Swaps -- Surely the biggest advantage of being a hunter in the world of warcraft is our pets (sorry anyone wanting to exclusively play the new Ranger spec, my fantasy training grounds requires you to know how to play with a pet). There are lots of raid mechanics that are actually fairly boring if you have two tanks trying to do them, but would be much more interesting with a hunter and a pet. What I'm imagining is a mob with a simple stacking debuff mechanic. All you would have to do, at the easiest level at least, would be swapping the boss between your pet and yourself to properly manage the debuff stacks: building them up on your pet while they fall of the hunter, and vice versa. This could be accomplished with a couple different tools we have. One strat would be Misdirecting all threat from the hunter to the pet, and using Distracting Shot to "taunt" the mob when needed, or keeping threat on the hunter, and using a glyphed distracting shot on your pet. At the more difficult levels, you may need a combination of distracting shot, growl, and well timed misdirections just to manage the debuff, Perhaps at these levels, the debuff wouldn't just be "die once you get to a certain number of stacks", but it would be a stacking DoT/Bleed, that needed to be managed with both proper "tank swapping" and self healing (mend pet for our pets, of course, and potions plus talents for our hunter). Kiting -- I, personally, miss having "kiting" be a normal hunter job. I can't really think of anything since one of the cata dungeons (I might be wrong on when that dungeon was, maybe wrath?) that really needed serious kiting. Still, it's a skill that all hunters should have. 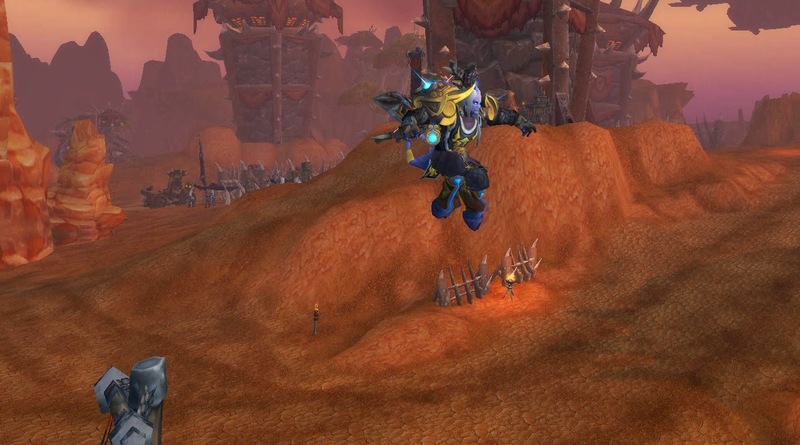 So one mob I would add to a hunter proving grounds would be a kiting mob. This mob would have an insta-kill melee ability (maybe only a one-shot on the harder levels, a "2-shot" or more on easier levels), and be significantly faster than the hunter, requiring the need for it to be constantly slowed with Conc Shot (i'm assuming they'll remove Exotic Munitions for Legion), and using disengage off CD. I imagine instead of a traditional ranged attack, this mob could throw traps on the ground where you're running, trying to slow/root you. To ensure this is focused on training, perhaps the easiest level of this mob, you'll won't need to DPS at all, and just focus on surviving for a certain amount of time. Then on the harder levels, you can use the same timer, but the mob has to be dead before the end. They could also add in some PvP elements to the harder levels; perhaps the mob could get a heroic leap or death grip type ability, and you'll need to always have disengage ready for when it's cast, or if it's on cooldown you'll need to deter, drop an ice trap and run away.